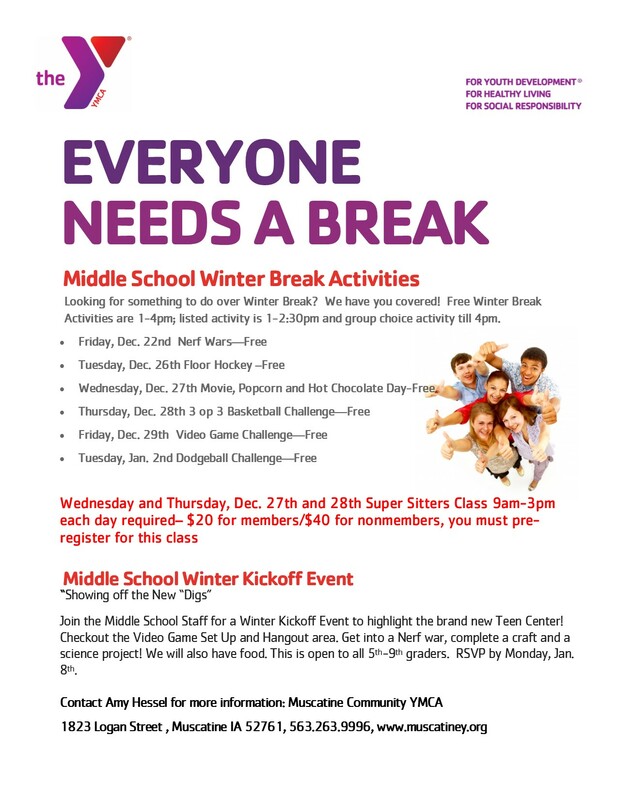 The Muscatine Community YMCA will be playing host to daily programming from 1-4pm each weekday during the winter break. There is something for everyone; Nerf Wars, Floor Hockey, Movie Day, 3 on 3 Basketball, Video Games, and Dodgeball. The activities are free for members and nonmembers. For more information contact Amy Hessel at the Y.